It’s our second week of Test Drive Tuesday! Week one is here. If you have a review that deserves more attention and you’d like it featured, please take our button, place it anywhere on your blog, and join up below! The link will appear every Tuesday, and we also have a G+ community too! It’s no secret that my boys love dolls. In fact, if I’d bought every doll that they’d fallen in love with to date, the Duggars would have had nothing on us. We’d have surpassed them in a week. 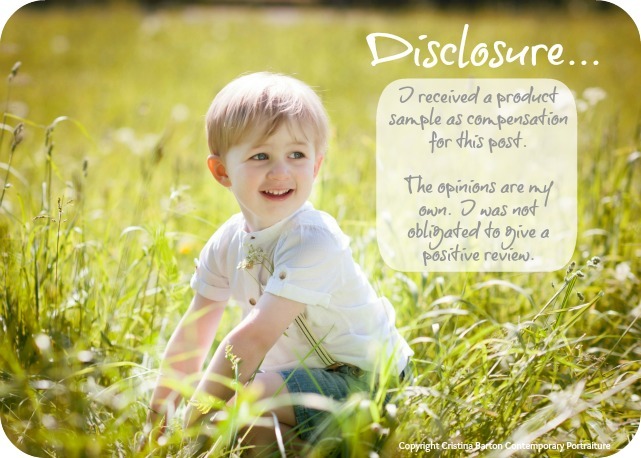 When we were offered the chance to review the newest Zapf doll, my heart skipped a beat. My own Zapf doll, a huge, long haired brunette toddler with two perfect front teeth, still sits at my parents’ house in the playroom. Her name is Kate and I adored her. I know she was expensive when they bought her, and I also know that my parents were more than happy to spend money on her since she was amazing quality and still looks as good as new (aside from the playwear) thirty years on. Wow. Thirty years on. That’s scary. Anyway, she was my baby and a step up from my bald headed, lifelike moving Zapf baby doll. Zapf always had the lead in baby doll design and I would constantly thumb through the pages of the little booklet my doll came with, dreaming of all the dolls I wanted to play with. 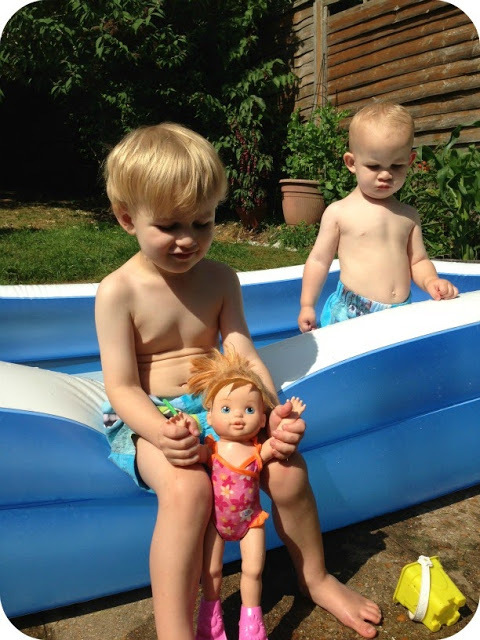 So thirty years on, when we discovered that the doll we were going to review was a swimming doll, I was excited yet skeptical. No “swimming” product has lived up to the claims made on the packaging as of yet in my boys’ little lives. The promises of excitement have melted faster than the bubbles in their bath and sunk their hopes each time. On the morning that our Little Adventurer’s Zapf doll arrived, she was swiftly named Ariel and promptly fallen in love with. She was introduced to Noel (head of the dollies) as “Ariel because she swims”. To be honest, she was lucky to escape being called Dolly or Baby. Jensen delightedly inspected her bubblegum pink goggles, flippers and hair clips as he sat her beside himself for breakfast. An instant member of the family. Ariel finally made her pool debut two weekends ago (which you can see here very soon) and she’s still completely cherished. She spends more of her life out of the pool than in (Jensen is concerned about her ‘lectrics getting wet) but she goes most places with us, usually naked except for flippers and occasionally goggles. So, to the test drive. When My Little BABY Born arrived and was released from her cardboard prison, as she was paraded around for every other toy to meet, I eyed the instructions suspiciously. They read that (after removing her from our boys’ loving clutches and unscrewing her back section to fill with batteries which upset our little ones, I do wish they came installed with initial batteries, even if the weakest cheapest kind for one use) My Little BABY Born has a sensor on her back and belly that automatically detect water. Apparently as soon as she’s placed into the pool or bath, off she goes. We assembled at the pool. Jensen was more than reluctant to let her in, but relented eventually. Placing the arms in crawl position, I lowered her into the icy morning water and held my breath. Nothing happened. We all stared at the floating girl, face down in the water. Three seconds later, she sprang into life….and swam. Genuinely swam across the paddling pool. The boys were amazed and enthusiastically helped Ariel to navigate by turning her whenever she hit the inflated perimeter. Her little body rocked from side to side as her arms and legs worked furiously and rhythmically to propel her around. She worked brilliantly. Note: The “Help, Mommy, help” bit was when Excalibur decided he might like a sniff of “Ariel”, no disaster was impending other than husky love. Out of the water, the BABY Born is fully poseable. Her limbs click as she is being positioned due to the swimming mechanism, but the boys seem oblivious to this and click clack her around the house merrily. Our own BABY Born, Ariel, may never see a large stretch of water again after this Summer, (due to her over cautious Dadda Jensen) but she’s great fun at bathtime, and knowing that she’s actually meant for water and not just another doll whose head will go mouldy in time is fantastic. Even without her aquatic abilities though, being sturdy, fully poseable and with golden hair to comb, she’s worth every penny. The only wish I’d have was that the motor was a little quieter when she swims. 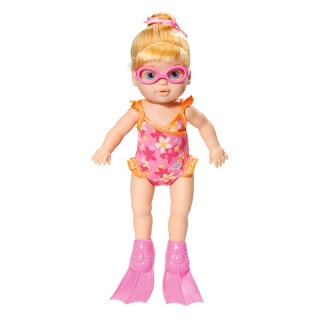 You can buy your own My Little BABY Born I Can Swim for £24.99 at most toy stores…put her on your Father Christmas lists!